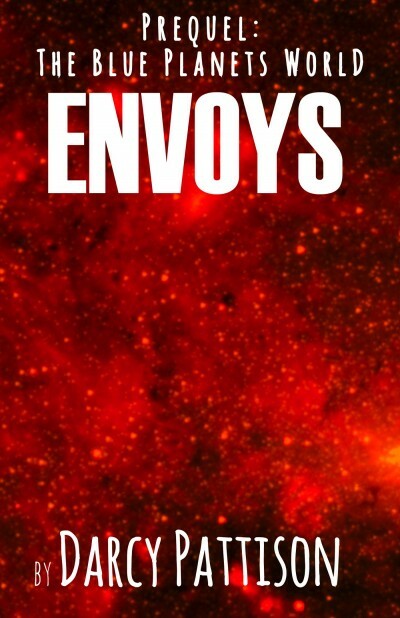 Envoys is the prequel to the exciting science fiction trilogy that pits the planet Rison against Earth. Rison has avoided all direct contact with Earth, till now. Blake Rose joins the First Contact team on the Cadee Moon Base. The first Risonian he meets, the mysterious Dayexi Quad-de, calls him an idiot—and thereby, stops the delegations from destroying each other. As the Navy team’s comparative anatomy expert, Blake examines the Quad-de family and reports a startling fact: the Risonians can breathe under water through gills in their armpits. The Risonian delegation finally reveals the reason for the meeting. Because of their scientist’s arrogance and errors, Rison will implode soon. The aliens have one simple request: allow us to live in your seas.